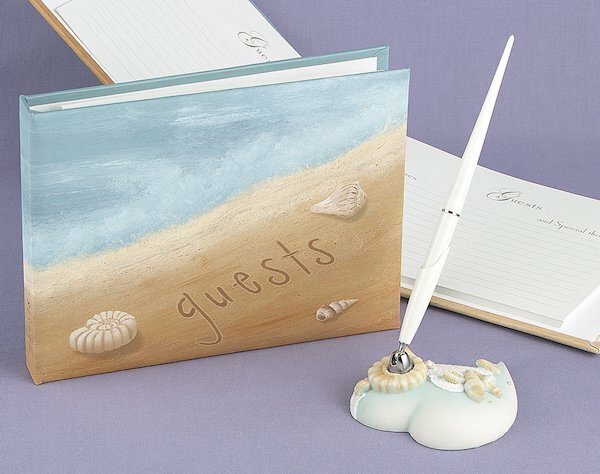 A view of the shore will be a welcome sight on your beach themed guest book! 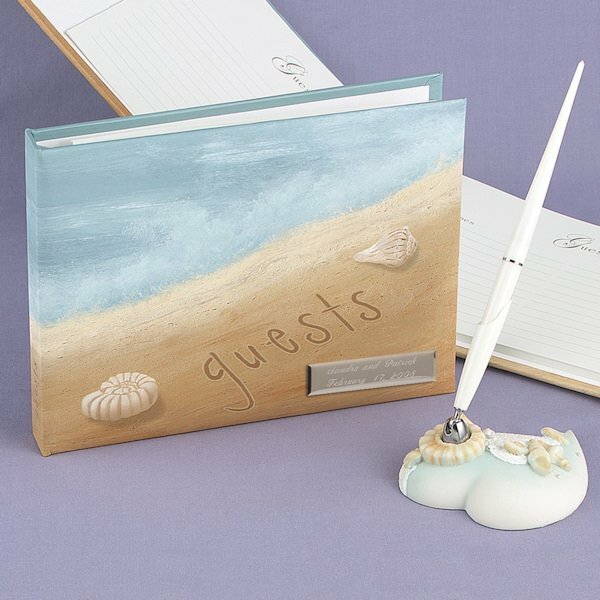 Shown with the matching pen set (not included), this Seaside Jewels Guest Book features a delightful, serene beach scene with the word "guests" written in the sand. Seashells also are included in the realistic image. The book measures 7-1/2" by 5-3/4" with room for up to 600 signatures. 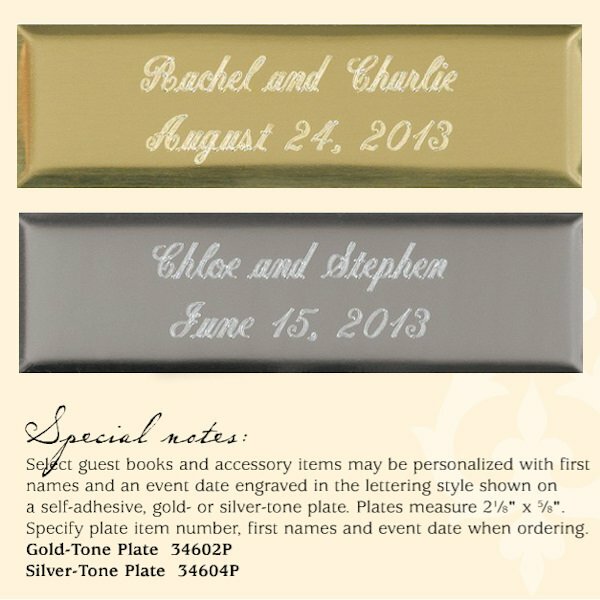 You can customize the book with a silver (shown in the image) or gold nameplate by selecting the personalized option during checkout (a small fee applies). 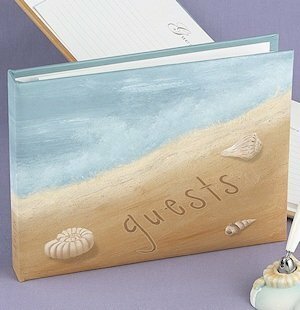 Be sure to have documentation of who attended your event or visited your home with this charming album.